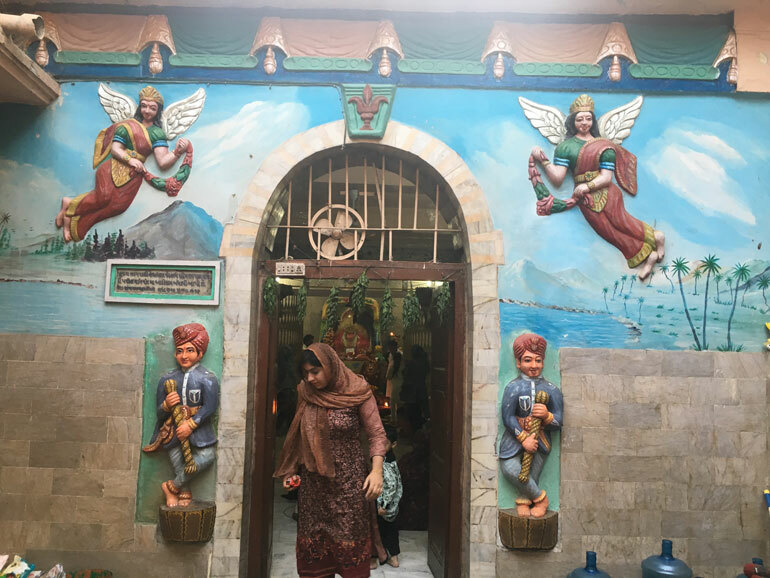 KARACHI: Located at the end of a narrow alley in the Bhimpura area, a 300-year-old temple provides clues into understanding pre-Partition Karachi. 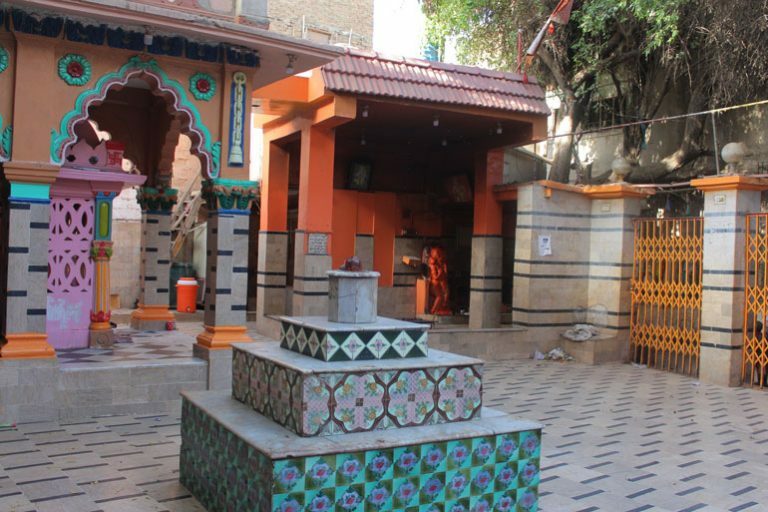 Unlike many other pre-Partition buildings and temples which are crumbling away in neglect, the Sitla Mata Mandir is under another kind of threat: encroachment. 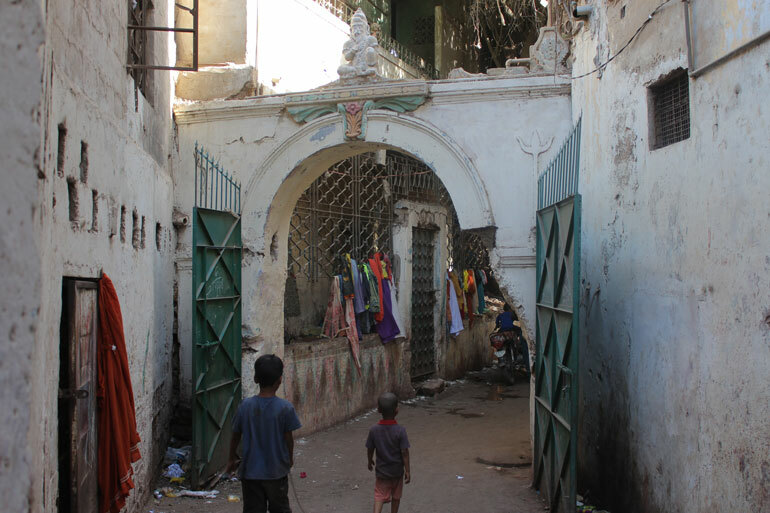 Hindu community leaders and residents of the neighbourhood say the history of the temple goes back to the beginning of ‘Kolachi’. They also claim that for eight years now, a number of people have been occupying the shops built in the temple’s premises without paying rent. The occupiers are also allegedly expanding their shops without permission from the temple’s committee, which is the rightful owner of the property. Hindu activist and leader Vijay Maharaj points at the bricks being atop the mandir’s boundary walls, reminiscent of the subcontinent’s pre-Partition architecture. “We have asked these occupiers again and again for rent which is due for years. Aside from that, they have now started expanding the occupied area,” Vijay says. “Where do we get funds from to renovate the temple and pay for the monthly expenses?” he asks. 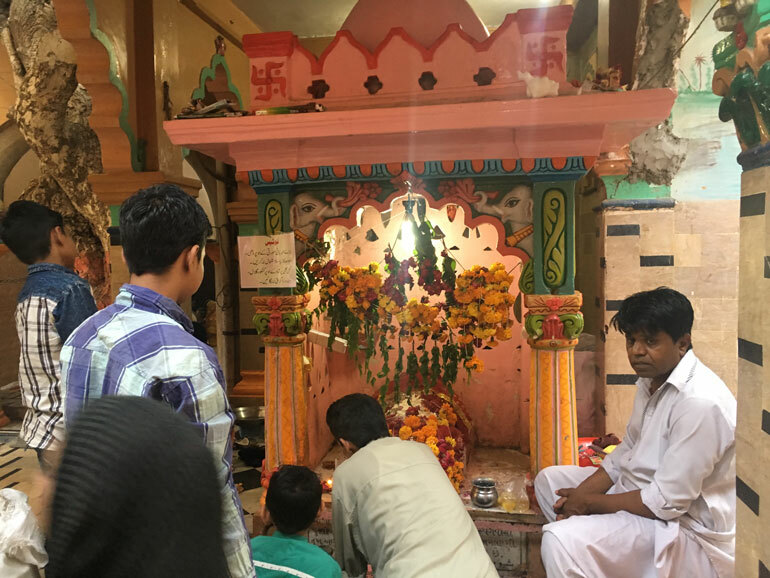 The Hindu community has already won a case against the occupiers of the shops attached to their mandir after filing a case at a sessions court in 2017. The minority community had challenged the Evacuee Trust Property Board (ETPB) which used to own the temple before. “In 2010, we challenged the Evacuee Trust and won the case because a Hindu or Sikh property goes to the government only if the people of that area had left the country after Partition,” Vijay explains. “They couldn’t own the mandir and therefore it was declared that we were the actual owners,” he adds. Last year, the community received the verdict in their favor when a session court declared that the Hindu community was the rightful owner and that “the defendant were occupying/encroaching upon the land illegally”. 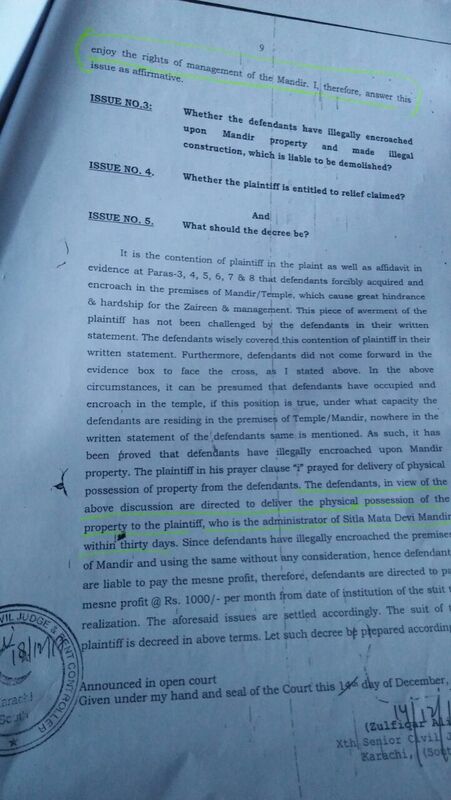 The court also ordered the encroachers to pay the rent due since the case was filed against them. However, the Hindu community of the area says the order had little to no effect on the occupiers. Vijay goes on to say that the occupiers of the shop refuse to pay rent to the Hindu community of the area, claiming they have been paying it to ETPB instead. “At times, it seems like the conflict between the Hindus and occupiers will result in violence which we don’t want at any cost but the police have failed to come to our help,” Vijay says, adding that members of the community had submitted an application to the area’s SHO but to no avail. 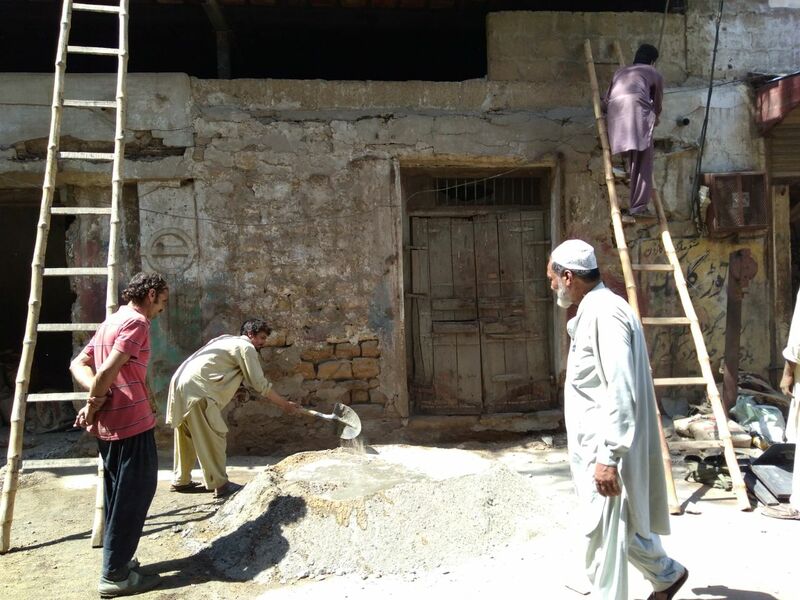 When approached regarding the issue, why the police have failed to take any action, Sub Inspector Tanveer Mughal of Napier Police Station said they couldn’t act against the encroachers until there was a court order directing them to do so. A session court order directing the occupiers of shops to vacate the area. 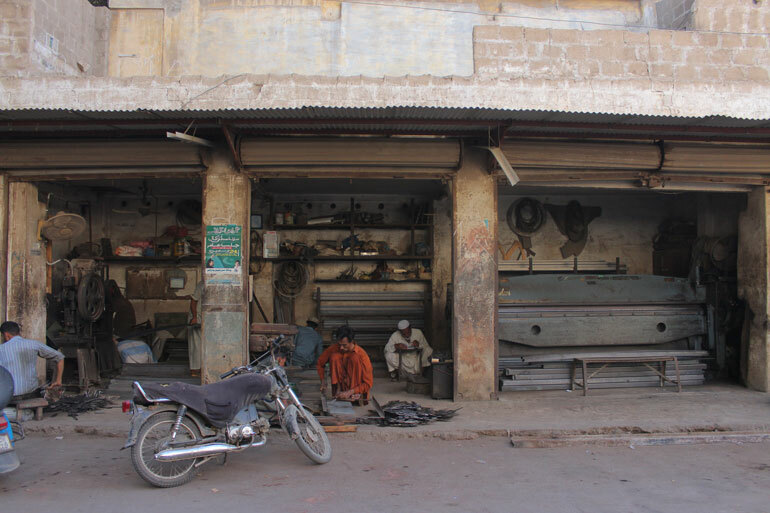 “The people using the shops say they have appealed against the order but have also failed to show it when we asked to see it,” said Mughal, who has been looking after the matter. Another shopkeeper said he had hired a lawyer regarding the statement but declined to give a name.